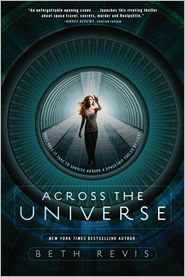 Suzanne Collins has a new book coming next year-and it's a picture book! According to Publisher's Weekly the book is an autobiographical picture book about a young girl's year when her father is serving in Vietnam. So what do you think? 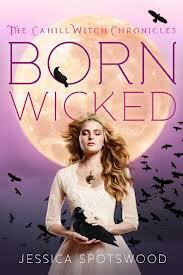 I'm happy to have another book by her, but I do wish it was another YA series. Maybe someday! 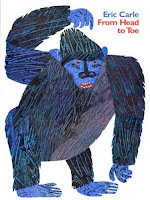 About the Book: 12-year-old Teddy lives in a zoo. His mom is a top zookeeper and his dad is an animal photographer, so Teddy is the only kid who lives year round at FunJungle-the ultimate zoo vacation spot. When the zoo's mascot, Henry the Hippo, goes belly up, Teddy sneaks in on the autopsy and learns that the Hippo was murdered. Teddy is on the case trying to figure out what happened to Henry before more animals meet the end. 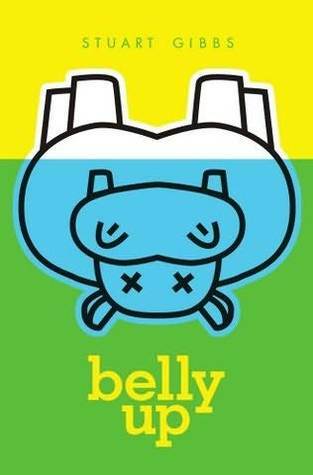 GreenBeanTeenQueen Says: Belly Up is another book that is on our state book award list this year and I've had book clubs about the book. Our discussion over Belly Up was one of the liveliest discussions we've had this year. This is a great tween mystery-the story keeps them guessing and none of the tweens in my book clubs guessed who the murderer was from the start and all were surprised. The book moves along at a good pace and keeps readers engaged. The author also includes a lot of humor-from silly tween jokes to gross animal humor (there are some poop and guts in this book!) which the tweens loved. 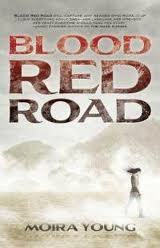 The characters are engaging and Teddy is a likable main character. The story also contains lots of action packed (and maybe some far fetched) scenes that will keep readers engaged. 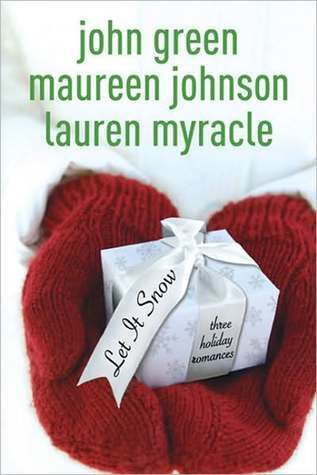 There's also a cute ending that my tween readers loved. Belly Up has been one of the book club favorites. They even talked about it again a month later. The tweens really enjoyed the humor and mystery and were very interested in Teddy's story. 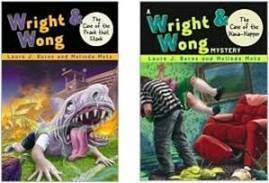 A great humorous read for tween sleuths. Full Disclosure: Reviewed from library copy I checked out from my library. I've been thinking about book blurbs. Do you notice them? Do they make you pick up a book or not? Many years ago, before I was a librarian and blogger, I was browsing in Borders. 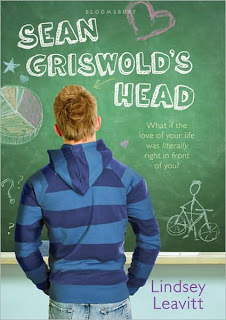 I came across a book that was chick lit and was blurbed by an author who had written a couple of books I read and loved. I bought the book based on the blurb. As a browsing reader, the blurb helped sell me on the book. Now that I'm a librarian, I read many, many review sources. I have a giant blog feed that I read various reviews on. And I love checking out Goodreads to see what a book is currently rated and what others have to say about the book. I also still pay attention to book blurbs, but I don't know that they carry as much weight for me as a reader anymore. 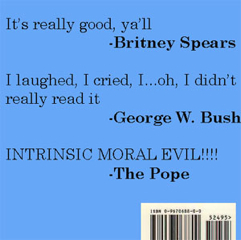 I still like what other authors have to say, but I also notice the dark side of book blurbs. I notice when authors become like Marshall in How I Met Your Mother and their Stamp of Approval and I start to doubt their blurbs. Or there are authors that I know share an agent or publisher and in the back of mind I can't help but wonder if they really love that book as much as they say or if it's just because they have a connection. I have a hard time trusting glowing book blurbs now. I tend to trust book reviews more than anything else. I still enjoy reading the blurbs and what others have to say, but I don't hold them as highly as I used to. If anything, the blurbs may help my interest in a book (so they're still doing the marketing job they are intended for) but I'm still going to research reviews. Or pick it up based on the jacket copy and because it's a story I'm interested in. But for a casual reader who isn't constantly looking up books on Goodreads, book blurbs can be a great way to discover something new. So I'm curious-Do book blurbs matter to you? I love looking at cover changes! 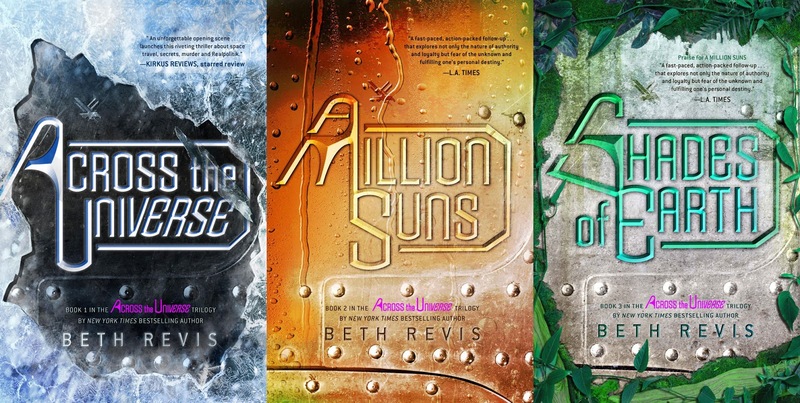 I understand how covers change because of marketing, but sometimes a book will have a cover I really love and change to something I'm not a fan of in the paperback.Here are some I've come across recently-what do you think? -I think all the covers are nice and I like each of them. I also think the latest series design has the broadest appeal. 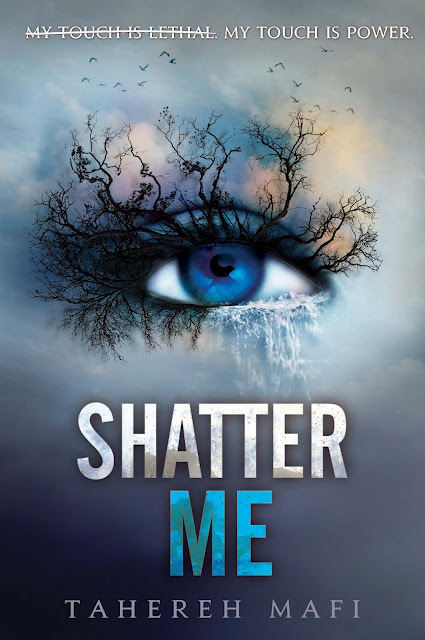 -I think this one freaks me out mostly because I don't starting into a creepy eye on the cover. But it does give a very chilling feel, which is a great marketing effect. 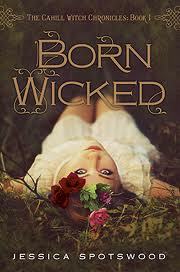 -I like both of these covers for Born Wicked. I think the first one stands out a bit more, but I think both have a feel of mystery which matches the book well. 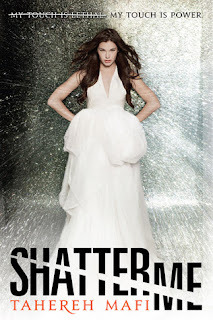 -I really dislike this cover change. It makes the book look like a girly romance and it's so much more than that! 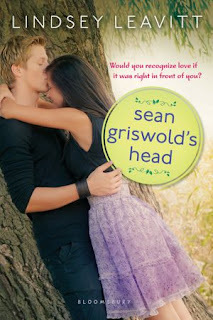 And I love Sean's head on the hardcover-such a funny and clever cover. At least Sean on the paperback is cute. I'll hopefully get over this cover change someday. -This is a cover change where I like both cover options. I think they both express humor and they're simple enough to catch my eye. What do you think? Like or dislike these changes? Any other changes you've seen? About the Book: Rob never cleans his closet. Instead he tosses random junk and the books his mom gives him to read all into his closet. 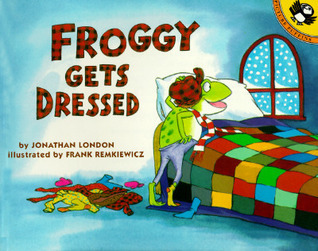 He even thinks that the beared man on his doorknob is a little weird, so he'd rather not think about his closet at all. Until one day a strange creature appears from the closet-it's Wonkenstein-half Willy Wonka, half Frankenstein. Rob needs to figure out a way to get the creature back where it belongs-and he might just discover reading along the way. GreenBeanTeenQueen Says: Author Obert Skye recently visited a local middle school and he obviously made an impression on the students because they have been asking for this series non-stop! I decided I had to see what all the talk was about. 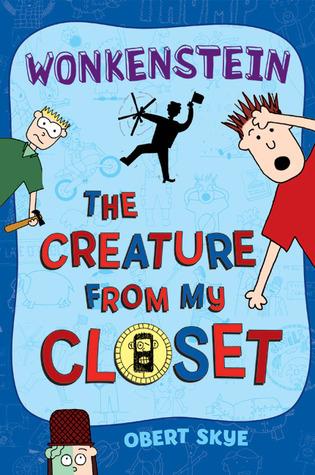 The Creature From My Closet: Wonkenstein is a great start to a hilarious new series that is perfect for readers who love humor and illustrations (ala Wimpy Kid style) infused in their books. Poor Rob is just trying to get the creature back but he keeps encountering disinterested friends, strange neighbors, and Winkenstein keeps embarassing Rob in front of the girl he just might sort of be interested in. There were several moments throughout the book that made me laugh out loud. I especially loved the middle school principal and his odd band and funny song lyrics. 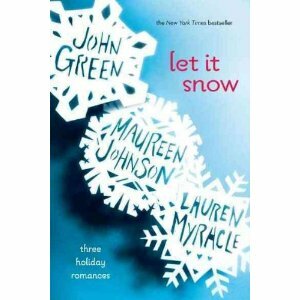 And of course, I loved the fact that the book ties in reading and books in a very clever way. 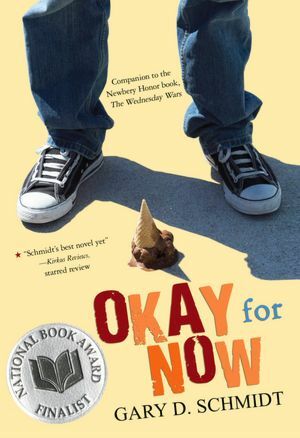 The tween voice is spot on, the angst of middle school drama just right, and the humor perfect for all ages. I did think that at times the illustrations were added just to add in an illustration, but it's a format that gets tweens reading, so I was able to overlook it easily enough. I also had a hard time keeping Rob's friends apart, but that's pretty minor and didn't detract from my enjoyment of the book. Perfect for fans of Diary of A Wimpy Kid, there's more fun to come with a second book in the series, Potterwookie. 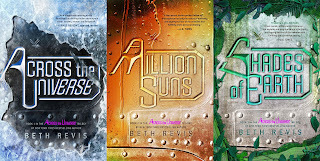 My library tweens have loved this series and I think it's a book that you could hand to any tween (or parent) and they'd get a kick out of it. We had a room set up perfectly for the game board already. Our Storyhour Room has a tile floor with squares. Using masking tape, I tape off six rooms (the game board has nine, but I wanted to make sure the game didn't take forever if we only had a couple of teens playing). I counted off tile squares for the size of the rooms, made doorways, and made sure to include signs in four rooms that listed secret passages that would lead you directly across the game board into another room. The rules we followed were just like the game board. We had a case file box in which we placed a weapon, suspect, and room. Then we passed out one card for each room (you could do just weapons as in the game or a mix like we did) then shuffled the other cards and passed them out to players. 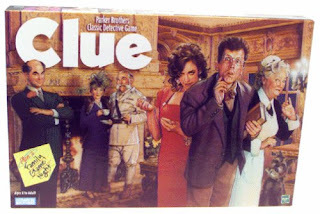 Players each had a detective clue sheet.We had a large box that was turned into dice and I ran around passing the di to each player and remmebering whose turn it was. This was a huge job to run around from player to player, so you might consider making a di for each player. One square on the floor equaled one room and they could move left to right and up and down, but not diagonally. They also had to enter the rooms through the doorways (or secret passages) and had to be in a room to make a guess. When players made a guess, if other players had one of the cards, they had to show the guessing player what was in their hand. Since we were in a large room and everyone could have seen the card if they held it up, it worked best if the guessing player walked around to each player or they came to the guesser so others wouldn't see. The game ended when someone guessed the case correctly. The entire game took about 30 minutes and the teens ended up playing four rounds they loved it so much. We did this one for tweens and teens, so we had grades 4-12 and ended up with mostly middle schoolers playing. My teen librarian recently did another life size game with Monolopoy with the same age group and the teens played for an hour and a half until she told them it was time to stop (they were getting a bit too competitive!) We also had parents join in on that one. We also tried a life size version of Candyland last year for the preschoolers and up at our Holiday Store open house and it worked great. 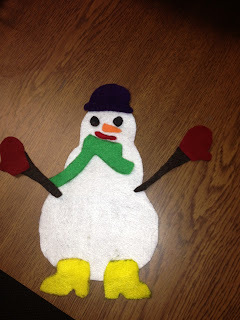 We've had great success with our life size games and can't wait to do more! Have you tried any life size games? Which ones worked and which ones didn't? Lots of trailers were released this week! First up, The Mortal Instruments. The best part of this trailer is how they plug the book at the end in a big way-I love it! I guess I need to read this series, don't I? 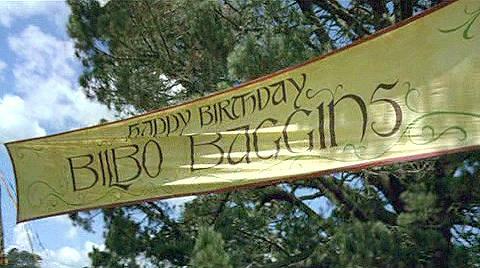 The trailer for The Host also debuted this week. I tried to read this one but found it really slow. Should I try again? And the international trailer for Les Miserables (aka what I will be doing on Christmas Day) debuted. And can I just say I'm so glad Taylor Swift isn't in the movie? Nothing against Taylor-I like her-but she just doesn't fit the cast at all. And lastly, the trailer for World War Z was released. 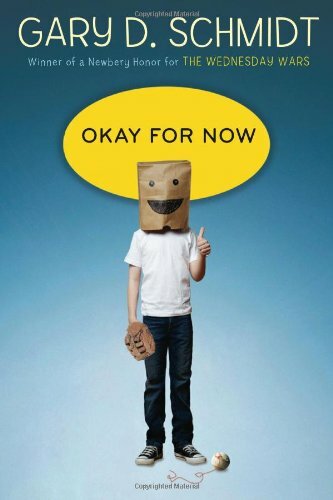 (Not a YA book, but a movie I'm sure many YA's will be seeing!) There is nothing about zombies in the trailer though, unless you count towers of people. It looks just like any other action movie to me. And you can watch the latest Beautiful Creatures trailer on Apple. About the Book: When Sadie and her younger sister Zuzu move to Salt Lake City, they discover a room in the attic called Palace Beautiful. Inside Palace Beautiful is a journal belonging to a girl named Helen who lived in the house in 1918. Along with their next door neighbor Bella, the girls decide to read the journal entries which have parallels to what's happening in their lives. The girls become obsessed with the story of the influenza outbreak that happens and are determined to find out what happened to Helen. 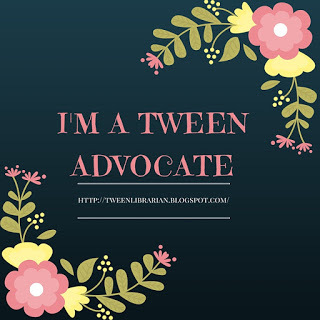 GreenBeanTeenQueen Says: Palace Beautiful is on our state book award list for grades 4-6 (Mark Twain Award) and it's the book my Chat & Chew (aka book clubs) are talking about this month. So far the three groups I've visited with about the book have all loved it. Palace Beautiful is a gentle read and a light mystery. The journal entries with Helen's family and the outbreak of the influenza in 1918 mirror events that are happening in the girls lives which lead to some great discussions with the students in our book groups. I really wasn't sure how much discussion we would pull out of this book but so far the groups have had a lot to talk about. They really like the journal entries, the idea of finding something from the past and having a secret room, and the characters in general. Sadie's mom passed away shortly after giving birth to Zuzu and now that her stepmom is expecting, Sadie is worried the same thing will happen. She's also struggling to remember her mother but also accept Sherrie as a mother figure in her life. 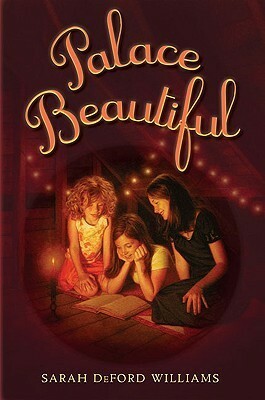 I really liked the adults (at least Sadie's parents and grandmother) in this book and I loved Sherrie and Sadie's relationship. Bella is quirky and has created an identity (Belladonna Desolation) all her own. Her mother calls her by her real name, Kristin, and has different expectations for her. She grows throughout the book and I love how Bella is quirky and fun and accepts the fact that she doesn't have to fit into the mold others may have for you. The journal entries provide a great look into a part of history that might be unknown to many readers. I know I didn't know a lot of details about the influenza outbreak of 1918 and the journal entries kept me engaged in the story. There's a nice mystery with the girls trying to figure out what happened to Helen and the readers I've talked to have all enjoyed this aspect of the book. This is also a great story of friendship and family and I think it would be a great mother daughter book club read. A nice light mystery for readers looking for books about friendship with a touch of mystery or history. -Deadline reports that Sailene Woodley is near a deal for starring in the big screen version of Divergent. There are also rumors about Alexander Ludwig (aka Cato in The Hunger Games) playing Four. What do you guys think? -David Slade (who also directed Eclipse) is signed on to direct the film version of Matched, based on Ally Condie’s novel. -Sony is in talks to develop a Little House on the Prairie Movie. First they want to reimagine Anne of Green Gables and now this? Can’t they leave my childhood classics alone?? Writer/creator Julian Fellowes is planning on writing a sequel to Downton Abbey. Fellowes related this news at a recent British Academy Film and Television Academy screenwriters lecture. The spinoff show would explore how the Earl and Countess of Grantham, played in the current series by Hugh Bonneville and Elizabeth McGovern first met. The show would cast younger actors to play the Earl and Countess. Fellowes indicated the spinoff would be broadcast after the end of Downton Abbey. Hello Springfield Leadership Academy! 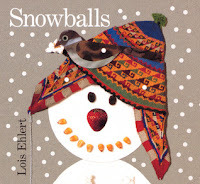 I hope you're enjoying your Library visit and scavenger hunt and have a wonderful education day! 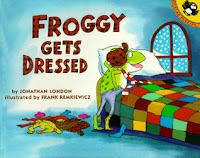 About the Book: Did you know mice in houses and wear clothes and take the family name of the family they live with? The mouse Cranstons live within the walls of the human Cranston family home. 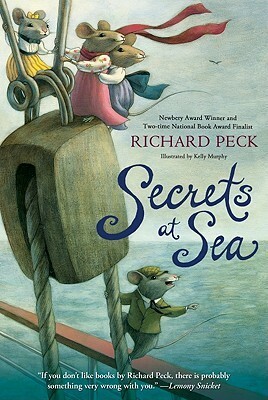 When the human Cranstons decide to travel to England to find a husband for one of their daughters, the mice Cranstons decide they must follow their humans and travel over the scary sea as well. As the mice try to secretly help their humans out on their adventure, they have adventures and romance of their own! The story is a humorous historical fiction with a twist because the entire story is told from the point of view of the mice. Yet it's still a story about society, class distinctions and marriage. This could be a great introduction into the turn of the century for tweens-the story is very accessible for younger readers. The cast of characters is wonderful-the eldest mouse daughter who is proper and takes care of everyone, the younger brother who gets swept up in adventure easily, the middle daughters who sneak off to "talk" to the humans and who don't follow the rules-each character is charming and lovable and you'll wish that the mouse Cranstons were real! A very fun adventure for the whole family! Full Disclosure: Reviewed from audiobook checked out from my library. I am so late in posting about this! Lalitha at Masala Reader asked me ages ago to write up what we did for our Zombie Prom and I'm finally getting around to it. Zombie Prom happened at my library this past summer. It was the brainchild of my Young Adult Librarian. For the past two years I had run an end of school/start of summer dance at the library. The first year was Moonlight Masquerade and the next year Geek Prom. So we decided to repeat that idea this year only with zombies. In addition to the band and lots of room for a dance floor, we had various stations set up. -Zombie Makeup. 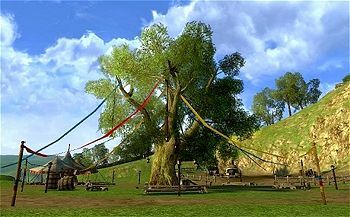 This was by far the most popular area. We had three staff (myself, my teen librarian and another staff member from reference who is a huge zombie fan) all stationed here to apply zombie makeup. We gave the teens zombie bites using liquid latex (check for allergies first!! ), toilet paper, and then covering that up with foundation and blood. Here's a tutorial that is similar to what we did for the zombie makeup. This is also a great chance to get your community involved and have a theater group volunteer to help with the makeup. -Prom Photos. We had one of our library pages staff this station with our library camera. (She was so awesomely involved that she ripped up an old prom dress zombie style and went all out with makeup!) There was a large backdrop that said Zombie Prom 2012 in bloody letters that was hanging on the wall. Teens could get their photos taken, then we would print them off on the printer (on white printer paper-we were cheap but you could get photo paper if you really wanted). Then teens could come by and pick up their photos. -Dancing. Of course there was dancing! The teens at first were a bit shy about dancing but once the music got going, they had fun. I wish the band had taken requests, but they did not. I had one teen ask if they could dance the zombie hokey pokey to get everyone dancing, but the band didn't know how to play it, so we never got to do it. I would recommend doing something like that as a dance starter to get the group moving. The one good thing our band did was play cover songs, so even though the teens might not know the lyrics to their songs, they could sing along throughout the night to the ones they did know. And don't forget to put out a display of zombie books for the teens to check out after the prom! Zombie Prom was a huge hit and we had a great crowd. Everyone dressed up-from something simple to all out zombie makeup and masks. I think next time I'd add a few more crafts or something to do for the non-dancer teens. The entire event lasted 1 hour and a half, because we had to close the library. But the teens would have stayed longer if we'd let them! We also had a great turn out from guys and girls and all ages-zombies had a mass appeal. If you've done a zombie prom, I'd love to know how you ran the program! 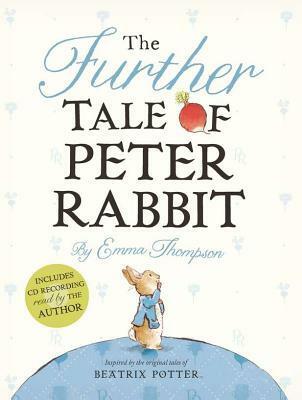 About the Book: Peter Rabbit can't stay away from adventure! This time he travels beyond the McGregor's garden and encounters new friends and challenges. 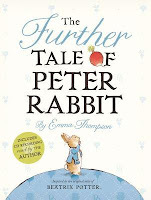 GreenBeanTeenQueen Says: I was nervous when I heard there would be a new Peter Rabbit book, but Emma Thompson captures the essence of the original tales perfectly. It's a fun, delightful tale that fits Peter wonderfully and I really enjoyed it. It has a sly sense of humor. 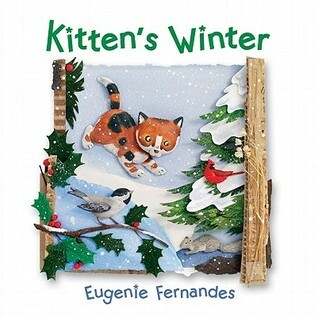 The illustrations are beautiful and look just like the original Peter Rabbit tales. A very nice addition to any collection. Perfect for Peter Rabbit fans new and old alike!